New Mexico offers glorious scenic surroundings, a unique cultural heritage and fabulous recreations. We hear a lot about Florida and Arizona as the best places to retire, or to nearly retire. But New Mexico? Absolutely. 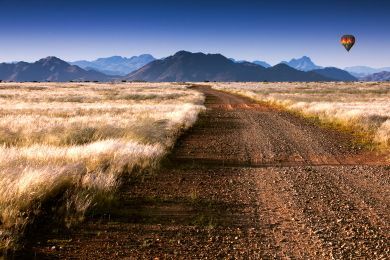 With reasonable taxes, reasonable home prices and reasonable environmental options, there's simply no reason not to consider New Mexico for the perfect active adult retirement. With a population of just over 2 million, about half of them single, New Mexico is far less crowded than many of its counterparts. Its strong cultural heritage is evident still today. Fascinating historic sites around the state include the Coronado Historic Site, near where the Spanish conquistador camped; Fort Selden, an adobe-brick fort that was home to Douglas MacArthur; and the Lincoln Historic Site, a town famous for the Lincoln County wars and Billy the Kid's escape. Aztec Ruins National Monument is another favorite destination. Residents can spend a lifetime perusing New Mexico's many museums. The History Museum and Palace of the Governors combines the newest museum with the oldest government building in the West. The Museum of Art features work by early and contemporary artists. You'll also find everything from the Museum of Indian Arts & Culture to a folk art museum to the Museum of Space History. New Mexico is one of the states making up the Four Corners, the only place in America where you can be in four states at once. Its topographical variety is appealing to many residents, with forests, deserts, and mountains. New Mexico living is affordable as well as enriching. Sales and income taxes are right in line with the national average. Happily, the cost of living in terms of food and utilities are slightly lower than the national average and the property tax rate is far lower than the national average. Politically, the state is fairly evenly divided between Democrats and Republicans, skewing slightly in favor of Democrats. So get ready for some great debates! New Mexico averages 278 glorious days of sun per year, making it a great place for solar power with an average high in July of just 89 degrees and an average January low of 19. While it ranks below the national average for rainfall and snowfall, skiers will be happy to learn that some areas of northern New Mexico get more than 300 inches of snow per year! 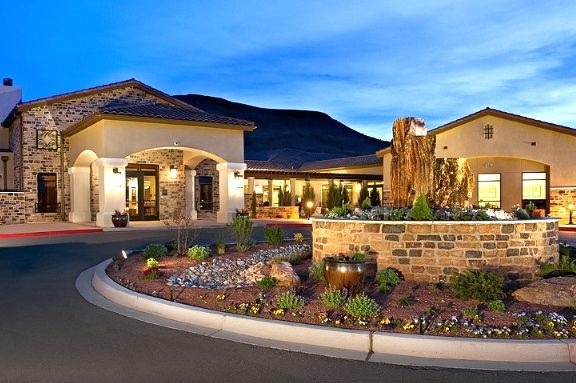 Jubilee at Los Lunas is a grand example of active adult living in scenic Northern New Mexico. Where to live in such a state with such vast offerings? Albuquerque, in the north, is what many call the state's best kept secret. Nationally, it's considered a mid-size city. It's home to the Sandia Mountains offering hiking in the summer and skiing in the winter as well as the Rio Grande River. It's also a university town. New Mexico retirees can enjoy active adult living in Albuquerque at Jubilee at Los Lunas where homeowners are welcomed as young as age 45. Alegria by Del Webb is another option for 55+ living featuring new and resale single-family homes combined with the famous Del Webb lifestyle. Santa Fe is the capital of New Mexico and is known for its rich artistic and cultural heritage. It's also a favorite of tourists, which some residents find appealing. Nearby Taos is well known for its art community and skiing. Las Cruces, the second largest city in New Mexico, is close to the Organ Mountains and is a favorite for many retirees. It's home to New Mexico State University, the largest land grant university in the country. Whether outdoors or in, New Mexico offers plenty to do. Fishing is good nearly year-round. From mountains to canyons, the state is a birder's paradise. Residents also can find festivals all year, from the Roswell UFO Festival to the famous Hot Air Balloon Invitational at White Sands National Monument. Overall, New Mexico is known for its wide range of living opportunities, perfect population density and its family-values residents. You'll find plenty of places in New Mexico to call home for retirement.